The Indian system of education fundamentally consists of five years of primary schooling, followed by five years of secondary schooling. The SSLC must be obtained at the end of term of study at the secondary school, after which a student can study at a higher secondary school, which is sometimes called a Pre-University Course (PUC), for two years. After this twelve-year period of study a student may enter a university for undergraduate studies, or may choose to pursue a shorter diploma course in a technical field of study. Alternatively, after obtaining the SSLC, a student may choose to attend an industrial training institute where one can be trained in skills necessary for technical occupations. The SSLC is obtained by passing a public examination, i.e., an examination that has been formulated by the regional board of education that the school is affiliated with, and not by members of the faculty of the school. 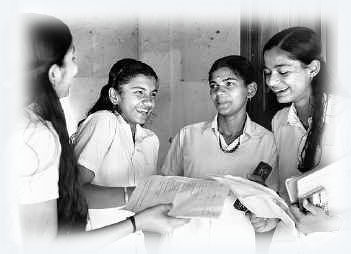 The performance of a student in the SSLC examination is the key factor in obtaining admission to a higher secondary school of choice, where acceptance is typically based on the results of the SSLC examination. Therefore, the SSLC is often regarded as the first important examination that a student undertakes.